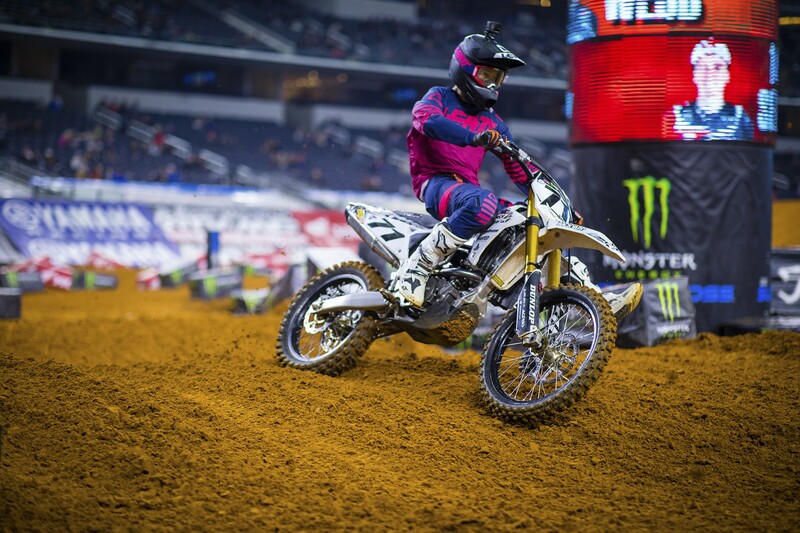 In the first 450SX timed qualifying session on Saturday at round 11 of Monster Energy AMA Supercross in Indianapolis, privateer Cole Martinez went down hard and caused the session to be red flagged while he was being attended to by the Alpinestars Mobile Medical Unit. He did not return for the following session. Early this morning, Martinez provided an update on Instagram, saying he sustained a broken femur. He underwent surgery on Sunday and wrote that he’s better than he expected to be. Through 11 rounds of the championship, Martinez has made five main events with a season-high 13th coming in Oakland. He’s currently 22nd in 450SX points.